MT412 is a durable and reliable barcode slot reader that can be easily integrated into host system via USB or RS232 interface. MT412 is the best partner for access control applications such as ID check-in/check-out and time & attendance system (TNA). Both red LED version (MT412) and infrared LED version (MT412i) are available for reading ordinary barcodes and invisible barcodes. Built with a large reading slot, MT412 can accept cards of various sizes. 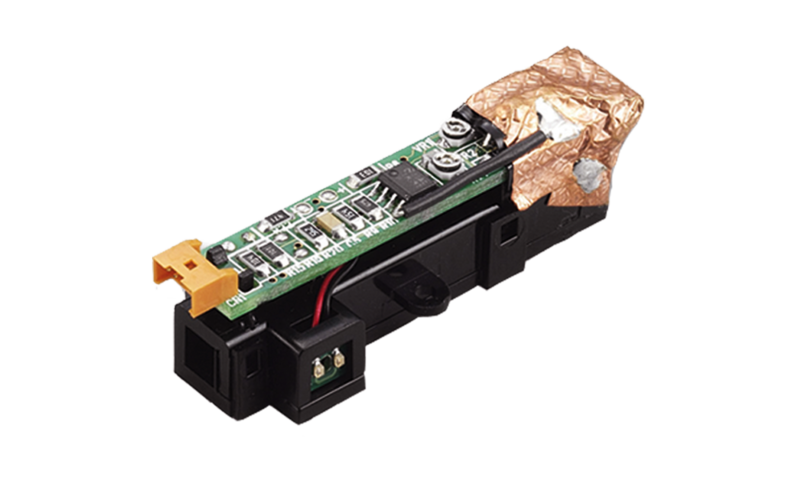 MT412 also supports flexible swiping speed from 47 to 470 mm per second with bi-direction therefore either at lower speed or higher speed, forward or backward, barcodes can still be captured easily and successfully. Housed in a rugged and reliable enclosure, MT412 can withstand 1.6 meter drops to concrete and is easy to wipe down and clean as well. Built with superior optics, MT412 can read all major 1D barcodes in the market and have the economical price point that make it a reliable and affordable solution of barcode slot reader. The infrared LED version (MT412i) is available for reading invisible barcodes which is printed under an opaque security film. This feature provides higher security for access control applications such as ID check-in/check-out and time & attendance system (TNA). As a plug-and-play USB device, MT412 emulates an USB keyboard and requires no drivers for installation. Simply plug MT412 into the USB port of host computer and start swiping. MT412 is also easily configured on the host computer by Marson's free user-friendly software tool, Ez Utility®.